Established in 2000, PIM(Topworks) plastic mold company supplies design of plastics, contract plastic mold making, and custom injection molding service. It employed 15 people with a 500 square meters plant in Huangyan, a so-called Chinese mold town with over 3 thousand Chinese plastics companies and manufacturer. 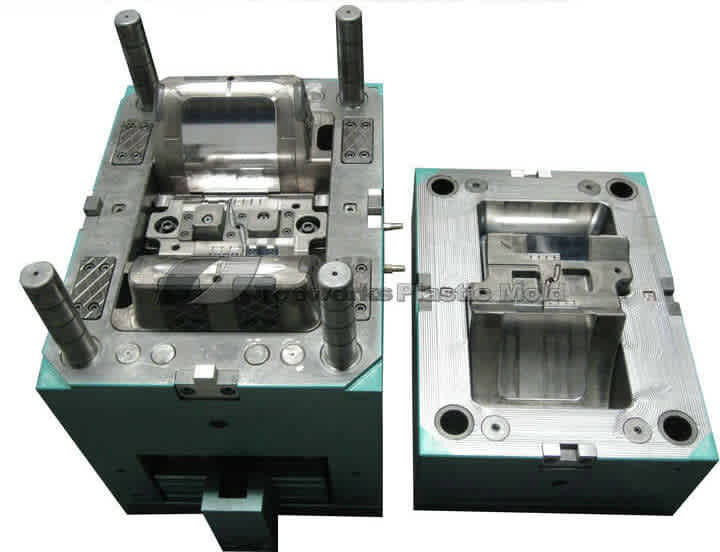 Today, it employs 80 employees, both Huangyan and Dongguan(shenzhen) precision mold section, over 70 of them are professional plastic mold engineers who own much rich mold making experience ). Moreover, the business moves to a 4000 m² plant with Advanced Equipment (high-speed CNC(over 20000rpm), EDM(electrical discharge machining), engraving machine, slow wire cutting machine, grind machine, radical drills machine and gun drill machine,…).All those machines promise to build plastic mold tooling with the tight tolerance. Endlessly, Topworks plastic mold manufacturer is dedicated to supplying the topest quality, tight tolerance contract plastic injection molds. And now it becomes a key Chinese plastic mould company and contract tooling maker for high-quality plastic injection mold tooling. We well recognize that the performance and quality of our molds would have a powerful effect on our clients’ performance and fame. Subsequently, we try to ceaselessly enhance our performances so as to supply helpful, risk-free and punctual mold tooling that always satisfy the performance & delivery demands made by you, our win-win business partners. It can be complicated to buy an injection mold, as there will likely be a lot of back and forth between buyer and contract molder before the final product is settled on. However, the following tips can help save you plenty of time, and make the whole process that little bit easier. Create an RFQ that goes into a lot of details.As skilled as moldmakers are, they won’t be able to read your mind when it comes to what you’re looking for. Include as many specifics as you can at this stage, including the number of cavities, the steel, the desired lifespan of your mold, and any guarantees that you might need. If you aren’t too sure on any of these topics, then tell your moldmaker, and they will be able to help you settle on what’s right for your needs. The more accurate you make your RFQ, the more accurate a quote you will receive in return. Be open about why you want a quote. If you simply need a general quote to pass on to another department, then let the moldmaker know- they will then be able to get back to you quickly. Creating an accurate quote can take a lot of time, and it’s not fair to waste the moldmaker’s time if you don’t need that much detail, or if you might not even buy from them. Don’t infringe on a moldmaker’s intellectual property. The ideas and suggestions offered by your moldmaker remain their intellectual property- you can’t simply take those suggestions to someone else to do it for you. If you settle on a different moldmaker, then take their suggestions on board- not only is using someone else’s ideas not okay, but it could also confuse the final moldmaker, who won’t understand exactly why those suggestions were made in the first place. Think about forming a partnership with your moldmaker. By working closely with your moldmaker when it comes to budgets, timetables, and part quantity expectations, you’ll be able to work as a team to achieve better results in the long run. Keep an open line of communication with your moldmaker throughout the process. Plenty of moldmakers will be happy to provide regular progress reports and keep you updated on the latest developments with your build. It’s important that you know everything is proceeding to schedule, so if you need any information, be sure to ask so that you can put your mind at ease. Ensure you always make your payments on time. Most moldmakers work to a tight budget and require expenses to be paid up-front before they can proceed with your build. If you delay making payments, then you won’t get your mold on time- it’s as simple as that. Different moldmakers will offer different payment plans, so talk with them to figure out a plan that works for both of you. Changing your part design will likely mean changing the injection mold itself. If you wind up making changes to your part design while the injection mold is being produced, you will be unlikely to get the mold at a price quoted, or to the original timeframe. Any changes will mean the mold has to be altered accordingly, which adds to both the cost and the time of the mold build. Know in advance when your mold will be There are different definitions for a completion date- they could range from when the final payment is made, to when you receive a sample part, to shipment of the final product. In most cases, an injection mold is considered complete when it is ready to produce the part it is intended for. The majority of moldmakers will be willing to make small changes towards the end of the process in order to make a part according to print dimensions. If these dimensions change late in the game, then the injection mold may still be considered complete- any additional changes will have to be paid for via an engineering change order, or ECO. If something is cheap, there’s usually a reason behind it. While there will be moldmakers out there who offer a cheaper-than-average rate for a quality product, there will be plenty of others who offer discounts because they cut costs themselves. In the long run, it’s better to pay good money for a high-quality product, instead of getting stung by a mold that doesn’t meet your standards. When buying an injection mold, that age-old adage is certainly true- you get what you pay for. Any molded components that you produce will only be as good as the mold that you used to make them, so you should ensure your injection mold is perfectly suited to your needs- before you buy it. A plastic injection mold is any tool made in whole or in part of a plastics material (excluding industrial thermosetting laminates), and in which the plastic contributes substantially to the utility of the tool. Such tools range all the way from those made entirely of plastics to metal tools to which a plastics working surface has been applied. There is only one proper approach to evaluating the suitability of plastics for a tool. That is to consider plastics as an independent family of engineering materials with unique combinations of engineering properties, which indicate how the materials will behave under specific service conditions. Under some conditions plastics provide outstanding benefits in terms of lower cost, more rapid plastic injection mold making, etc. ; under other conditions, they should not be used at all. The success of a particular plastics mold is solely dependent on the degree to which the plastic mold manufacturers understand the plastic injection mould design requirements and the capabilities of plastics materials. The second area is the one causing most of the problems in injection plastic molding today. Picture if you will, a plastic mold maker specifying a material for a particular plastic mold making detail. He knows exactly where he stands with iron and steel on making plastic molds. He has ready material on hand that gives him weights, characteristics, and costs. He also has his experience which tells him what to expect from a particular metal. On the other hand, he knows very little about plastics as a die material. Naturally, he will specify that with which he is most familiar. Becoming “familiar” with plastics is relatively straightforward; understanding them to the degree that their full capabilities can be realized is more difficult. Each member of the growing plastics family offers a relatively broad range of properties; but within each group, specific types offer more specific combinations of properties. In using metals, a standard alloy can be specified which is supplied within guaranteed compositional limits and often with guaranteed minimum strengths. In specifying and using plastics, no such standard grades exist. Also, for the most part, tooling plastics are “made” in situ; that is, the resin is catalyzed and cured in the tooling shop in the final shape of the tool. Since the way in which the material is formulated, catalyzed, fabricated and cured determines to a large degree end properties of the material, the plastic mold manufacturing engineer must have a greater understanding of the technology of plastics than he does of metals. The plastic mold making engineer unfamiliar with plastics should work closely with the materials supplier at the start. Reliable, reproducible physical properties can be obtained in plastics, but only by processing the materials properly. Epoxies are the most widely used tooling plastics. They provide an excellent balance of physical and mechanical properties, low shrinkage, and compatibility with glass fiber reinforcements. Other plastics should not be overlooked. Many of them can provide distinct advantages in tooling for many plastic injection molding companies if properly used. Phenolics provide high heat resistance; polyesters provide low materials cost and excellent processability; room-temperature vulcanizing silicone rubbers (not actually plastic ) provide heat-resistant, flexible mold materials; foams of phenolic, epoxy and urethane provide high bulk with low weight; and so on. Such specialty applications as the use of flexible polyvinyl chloride for molds for concrete, nylon mandrels for the machine- and hand-bending of aluminum tubing, and thermoformed thermoplastic sheet for molds for forming urethane foams indicate that other plastics also can offer benefits. "I’m glad to inform you that all is perfect !!! We are really satisfied and therefore there are good chances to continue our relationship for any coming new project." "Our customer is very satisfied with your mold products"
" I get the package today earlier as promised by you. I would like to tell you that I am VERY satisfied with your work and want you to know that I would be continuing to work with you..."
"I have get plastic molded samples. they are absolutely ok.so many thanks to you . i am so happy to see the molded samples and would like to do more mould business long time with you. "